Most conversations about Single Coil versus Dual Coil custom configurations pit the two E-Cigarette set-ups against one another. In all actuality, they're completely different and making the right choice between the two really depends on the user's preference. To help our customers find the ideal set-up for their regular vaping routine, we've explained how heating coils work and the differences between both commonly-used configurations. 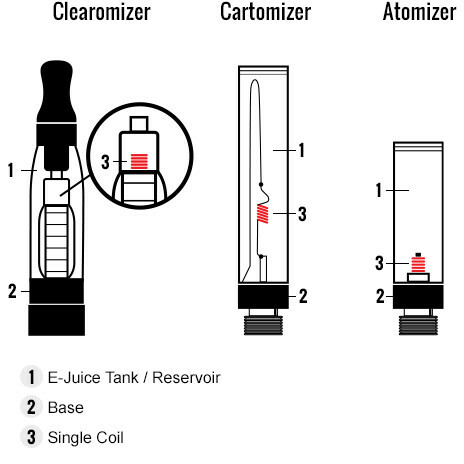 A coil is the heating element inside your atmoizer, clearomizer, or cartomizer. 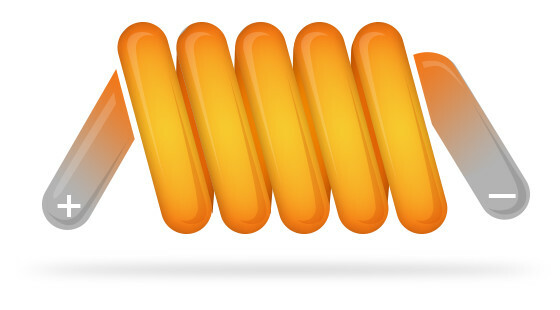 The coil is a looped resistance heating alloy wire, which works just like the battery on your car. One side of the wire is linked to a positive charge and the other is linked to a negative charge. When the device is heated up, electricity runs from the battery to a coil, which heats up the eLiquid until vaporized. In single coil configuration, an e-cigarette's battery exclusively directs all power to one coil, heating up the eLiquid. Single coil set-ups use 10-30% less battery power than dual coil configurations. 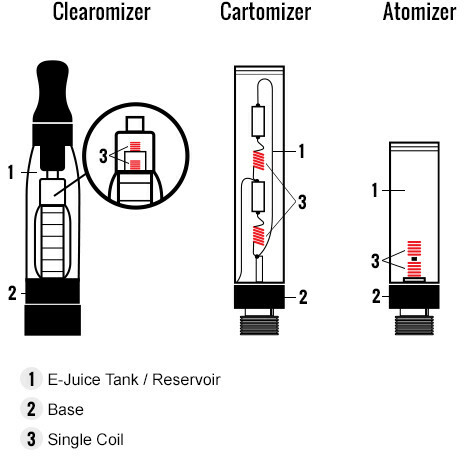 Single Configurations burn eLiquid slower, since juice only comes in contact with one coil. Since single-coil configurations have a simpler set-up, they're much easier to manage for new users. Dual coil set-ups are not recommended for new users, unless they're pre-assembled. Vape set-ups with single coil configurations typically produce less vapor than dual coil configurations. With only one coil to heat the vapor, single coil set-ups inevitably take a little longer to heat up than dual coil configurations. In dual coil configurations, an e-cigarette's battery evenly distributes electricity to two coils, which simutaneously heat up the eLiquid and turn it to vapor. Because there is a bigger surface area for eLiquids to contact the coils, dual set-ups provide much more vapor than single coil configurations. The vapor from dual coil set-ups is also much more dense, making them preferable for cloud chasers. Since two coils heat up faster than one, dual coil configurations typically provide vapor quicker than single coil configurations. While dual coil set-ups produce more vapor, they typically use twice as much battery power. So, if extending battery life is important to your routine, single coil configurations might be preferable. With two coils heating up the eLiquid instead of one, eLiquids burn twice as fast in dual coil set-ups, meaning users end up going through vape juice much quicker. At My Vapor Store, we recommend trying out both dual coil and single coil configurations, before ultimately deciding on one set-up. As you know now, there are advantages and disadvantages to both, so trying them out first-hand is the best way to make your choice.